Jacob is now 13 weeks old and is in his third month of life! We didn’t get chance to weigh him this week so we will stick at 9lb13oz. We have been enjoying the sun this past week and have spent a lot of time playing with big brother in the garden and having garden picnics. Jacob had his second set of immunizations and was a trooper just like last time. 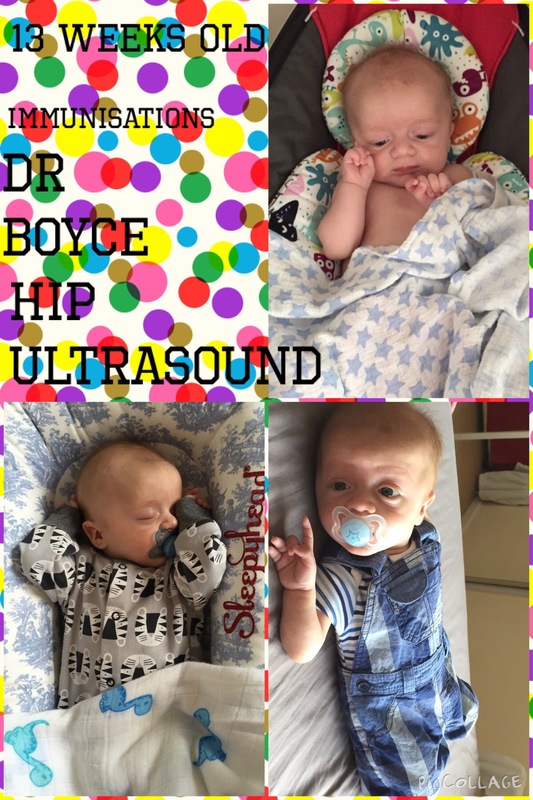 This week we will be spending plenty of time in hospitals, Monday Jacob had his follow-up appointment with Dr Boyce plastic and orthopedic surgeon in Swansea. Jacob also has another Physio appointment Wednesday and then his hip ultrasound Thursday. I love watching my little boy grow into himself he is becoming more confident each week and is continuing to give us plenty of smiles and gurgles.